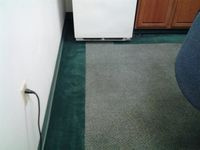 Give Your Carpets an Affordable Facelift! I serve Quakertown and the surrounding beautiful communities of Upper Bucks County. My carpet cleaning process uses clean, modern equipment based on the proven method of Hot Water extraction, more popularly known as STEAM CLEANING. Carpets are deep cleaned with my proven process utilizing people and pet safe solutions. These are worked deep into the fibers of the carpet prior to extraction using very powerful equipment. I strive for a strong customer relationship by going into detail with the service, moving articles of furnishings as needed and offering every facet of a thorough cleaning in the pre-determined cost. The carpets dry in short order, depending on the severity of the condition, & with our rinsing process they are very soft underfoot. Get the peace of mind with a floor covering that is pure and allergen free. Let me give you a little time off to do the things that are important to you. Quality assurance and repeat clients make my service a must for your home or business. Other floor care solutions are available. My service is insured & bonded. Deodorizing is included in the carpet cleaning price. 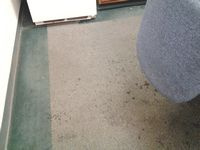 Problem odors & stains may be an additional cost, as those products used for such treatments vary in cost & application. All carpet cleaning products are child & pet safe, & all products are bio-degradable, and many fall into the Green Cleaning category, as those are made from mother nature's magical field of all natural ingredients. When value of service counts, call Johnson! Utilizing my floor care service will endow you with my valuable expertise and experience, and the clean and powerful equipment needed to get the job done. For as little as $159.00, I can clean the carpets in your Living Room, Dining Room, Stairway & Hall, based on a 500 square foot area. My top quality carpet cleaning and floor care service has been a success because of the continuing loyalty from customers who appreciate the high standards to which I have committed my business in the carpet cleaning trade. I strive to provide the very best in carpet cleaning and finding a better hot water extraction service at any price is a gamble at best. 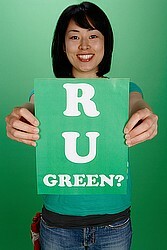 Please, don't take chances with your home or business when choosing a carpet cleaning service. I strive to be the best!